Patrick is passionate about solving some of the most pressing business and social problems using technology. He has built solutions for clients in North America, Europe, Asia and Africa. He currently is a Managing Director at DLT Labs where he is responsible for driving the business strategy, customer engagements, strategic partnerships, product management and services & support. He spent 4 years at Infosys as Director focusing on digital transformation for Fortune 500 and crown corporations. He has worked as an Associate at McLean Watson VC in Toronto, as a Director for Villaget Net in Southern Africa and started his career as a technology consultant for Silnam IT Solutions in Namibia. 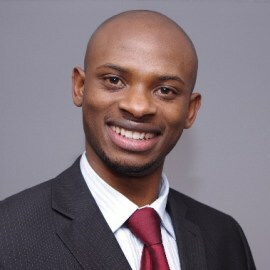 He holds an MBA from INSEAD Business School (France/Singapore) and a BSc in Computer Science from the University of Namibia.